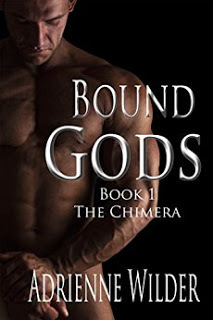 Adrienne’s books are always emotional, heart-breaking, and devastating, and there is no truer example of this than the amazing Bound Gods series. The world-building is epic, the characters are full of depth, emotions, and pull the reader in, leaving them heavily invested. These books are not for the faint of heart and must be read in order. They work together in a grand overarching plot that comprises multiple characters, POVs, and storylines that weave in and out of each installment. This series is a combination of urban fantasy, paranormal, and epic fantasy that comes together to create one of the most unique series out there today. One of the best series out there for LGBT+ characters, and each has a depth and authenticity that only comes from the talented mind of an author who really cares about the story and readers. For a god, what could be closer to heaven than living in a safe haven like Sanctuary, with an endless supply of ambrosia, delivered by the beautiful bodies of the Doxies in Alton’s harem? But unlike the majority of the gods in Sanctuary who are less than human, Cerberus isn’t exotic or fantastical. His appearance, his…habits…have become the horror stories whispered on the lips of Doxies. And while Cerberus might be immortal, his pride is not indestructible. Seeing the love of a Doxie for a monster like the Chimera, shatters it. A chance encounter with an undocumented Doxie named Owen begins to transform Cerberus’s life. At least until Alton removes Owen from Cerberus’s care, banning the god from training the boy—to protect him from Cerberus’s animal nature. In reality, Alton’s motives are far more frightening. And the truth could kill Cerberus and Owen both. What begins as a day of celebration, the Claiming of two Doxies to a single god, transforms into a spiraling path of cataclysmic change. Purgatory is where gods go to die, imprisoned for their violent crimes, sentenced to never see the light of day again. 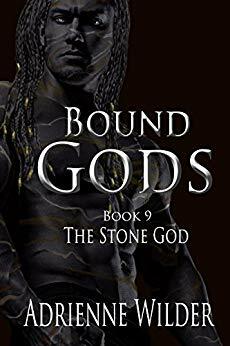 Trapped within the stone catacombs are impossible, dangerous, barely human gods. And with the potent ambrosia Aaron produces, those gods might soon walk free. If they do, blood will rain and hell will be unleashed. Trigger Warning: This product contains nuts. Oh, and it’s the second-half of a three part installment and ends on a ditchhanger. Or maybe even a gullyhanger. But definitely nothing nerve wrenching enough to qualify as a cliffhanger. There is nothing stronger than the heart of a Doxie, and at the same time, there is nothing more fragile. The shards cut deep, and the wound never heals. Just when you thought the betrayal couldn’t go any deeper, it reaches all the way to Purgatory. Warning: The ending of this installment is HFN but abrupt. And this timeline will not pick up until Bound Gods 10 which is where all the storylines merge for the final apocalyptic battle for the survival of the Doxies. He has destroyed empires, erased entire civilizations, crushed armies of millions. No man, woman, or child is safe from his wrath. He is an unstoppable force. A god who kneels to no one. This book is an “end for now”. The timeline begins before book 6 and ends after book 8. It will meet up with the timeline of those books in books 10. The Stone God contains lots of side information that occurred in books 6-8 that only make sense when applied to this particular story. But it will also help you understand some of the motives of certain characters in those past books as well. Again, this isn’t the final story. You’re just getting a different perspective of that downward spiral into hell. As well as a lot of information that you will need to understand the next installment. Trigger warning: About 100 times the recommended daily dose of vitamin D.
sleepiness, staying up all night reading, and disturbing thoughts. Use care when operating battery-powered devices. And a lot of lubricant.